Mr. Segerdahl was born and raised in Pittsburgh, Pa. Mr. Segerdahl earned an undergraduate degree at Slippery Rock University in Slippery Rock, Pa. in 1989. Later, Mr. Segerdahl earned a Masters degree in History at George Mason University. 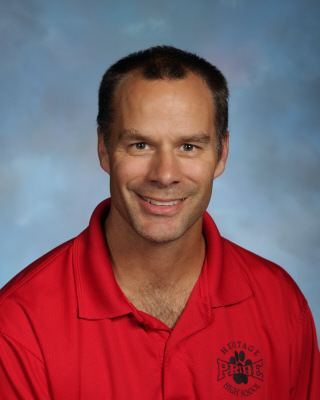 Among the subjects taught by Mr. Segerdahl have been US History, World History, AP World History, Philosophy, Comparative Religions and Government . During the first 11 years, Mr. Segerdahl taught and coached football and softball at Loudoun County High School. Upon moving to Heritage High School, Mr. Segerdahl assumed the role of department head of Social Science.